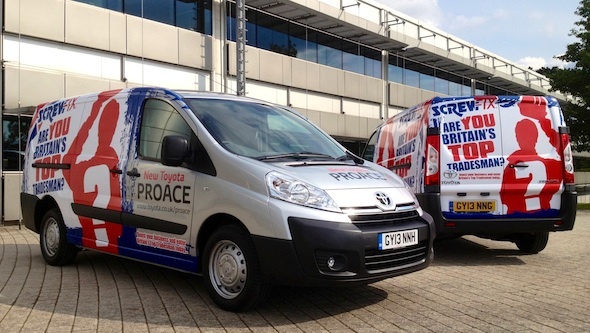 Whatever you do, the Toyota Proace is the perfect tool for your business. A range of bodystyles, generous equipment and space, and great deals mean that it’s just the job for a solid day’s work. That’s why we’ve teamed up with Screwfix to help find Britain’s Top Tradesman. Launching at the Screwfix Live event this weekend (September 13th-15th), the Britain’s Top Tradesman competition will sort the very best plumbers, electricians, joiners and builders from the rest over a series of regional qualifying sessions climaxing in a national grand final at Wembley in November. Maybe you’ve boosted your business by gaining new skills and qualifications, invested in new technology or trained an apprentice – if you’re determined to make your firm the best in its field, this could be the competition for you. Best of all, the grand prize is a Toyota Proace, in a specification of your choice, worth up to £27,000. 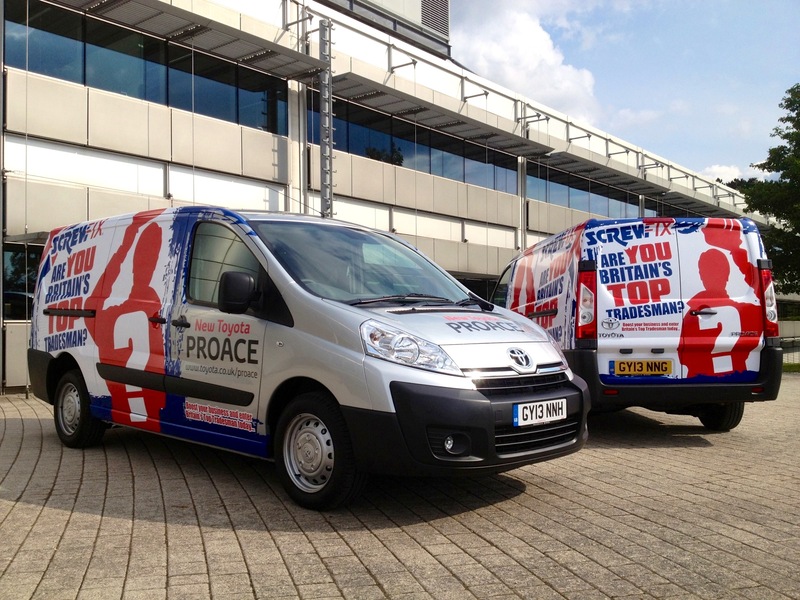 Find out more about Proace on toyota.co.uk. To enter the competition, you must complete the entry form on the Screwfix website, where you can also read the full terms and conditions. The qualifying sessions will take place at 10 Screwfix stores across the UK before 10 finalists are selected to compete at the national grand final. Screwfix Live takes place at Farnborough International Venue & Events (FIVE) – find out more about the event, which will include a Toyota GT86 driving experience, at screwfixlive.com. As you are no doubt are aware, the new Proace has been developed as part of a joint venture with PSA, widely seen as a leader in the European Light Commercial Vehicle (LCV) market. Proace is manufactured in collaboration with PSA Peugeot Citroen at the French group’s Sevelnord factory in northern France, not Fiat. The agreement between the two companies will continue beyond 2020. With this in mind you’re right to point out that at this stage, in terms of the vehicle itself, there are small differences between the Proace and PSA offering, these include some styling, specification and trim differences. Where we believe we have a significant advantage sits with our dealer network and our proven track record for industry leading customer satisfaction. Independent surveys repeatedly reveal Toyota service to be held in high esteem, supporting our investment in training and facilities. Is there any sign of toyota making a automatic version of the proace, And if so when will this happen. No plans for an automatic Proace at the moment and it is too early to talk about future new product at this stage, thanks for your interest and question though.